When planning and developing a property getting approval from your council can seem daunting. There are so many regulations that need to be adhered to it can seem like an impossible task. To help simplify things we’ve put together a simple guide to help you on your way. There are also other times it is important to get the council’s approval, so if you’re unsure what category your project fits into it is best to enquire with your local council before you begin planning. How the character of existing buildings in an existing street may be impacted. Impacts to any heritage items, including any works done adjacent to a heritage building. Examples of other criteria considered during assessment are environmental sustainability, access and traffic, and public safety. It should be noted that each of these may vary from not only council to council but zones in those council areas as well, so it is important that you research what the council wants in the area you are planning to develop or alter. 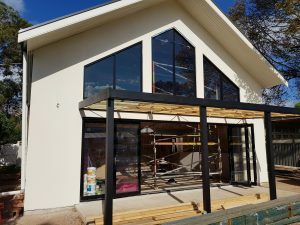 Appraisal of building designs; to ensure the proposed works are in accordance with the Building Code of Australia and relevant Australian Standards (Includes items such as disabled access, fire and life safety systems etc.). Providing the council with ALL plans and documents required for the type of development proposed (Application assessments will be significantly delayed if not all required documents are submitted). How are Architects, Engineers and Builders involved in getting plans approved? Architects / Builders: Your Architect or Building Designer should work alongside you during the design development process, until you reach a point where all requirements are met and you’re ready to lodge your ideas with council. As long as they are aware of all council requirements there should be little to no issues, however, if they fail to consider an issue that the council raises they may need to make changes where appropriate and will work with you again in order to ensure your planning assessment as well as building assessment applications get approved. Engineers: While there is not always direct contact to the engineer, you can request to talk to them through your architect/building designer. They will work closely with either you or your architect/designers to calculate and ensure structural suitability of your building designs when it comes to the building assessment. They are the backbone that ensures the council will be happy that the proposed ideas are structurally stable and will meet state/national requirements. Note: Keep in mind this is a simplified guide and for any further enquiries you may have it is best to contact your local council.